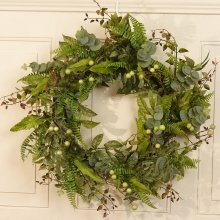 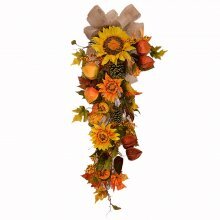 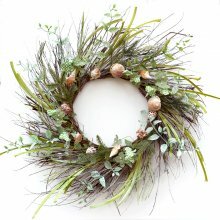 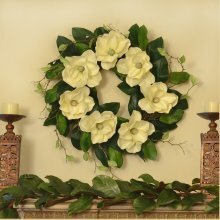 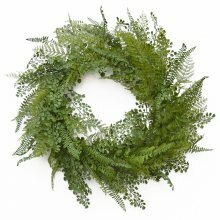 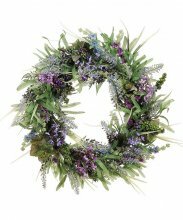 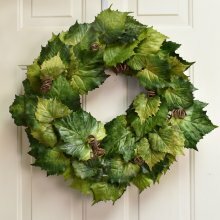 Shop our large selection of hand-crafted silk and dried wreaths, door baskets, and arches. 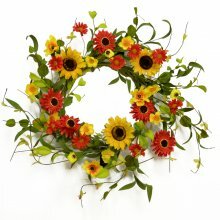 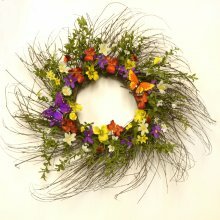 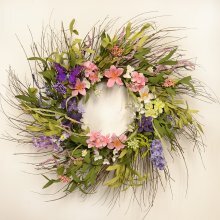 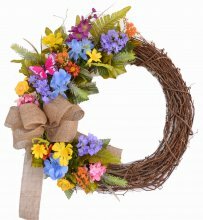 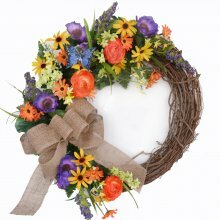 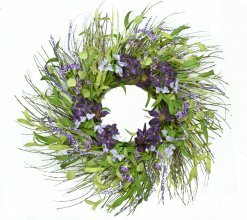 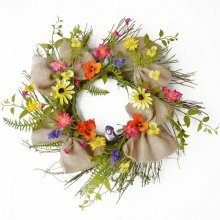 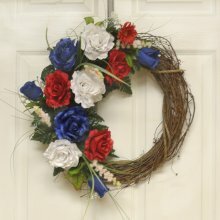 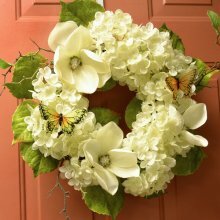 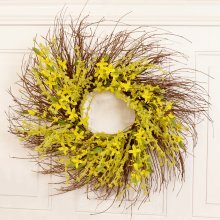 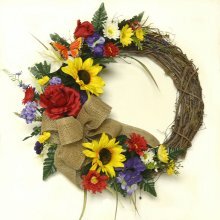 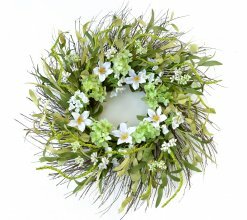 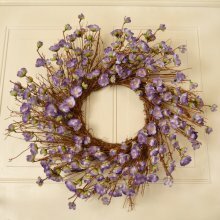 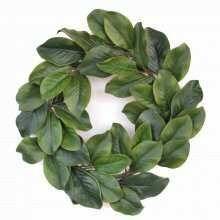 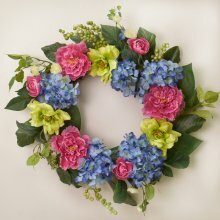 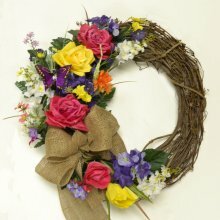 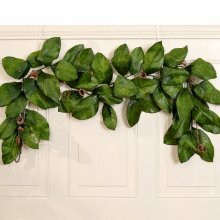 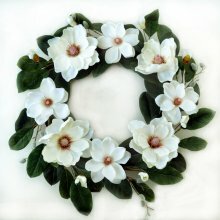 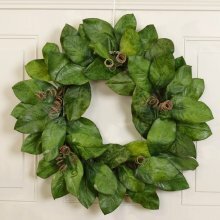 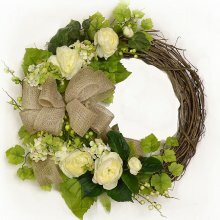 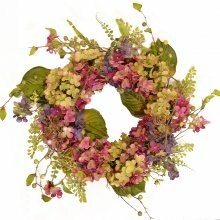 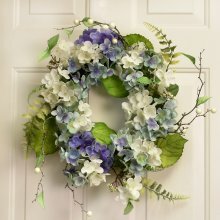 Many new spring wreaths have just been added! 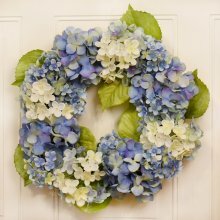 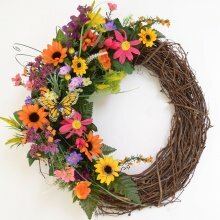 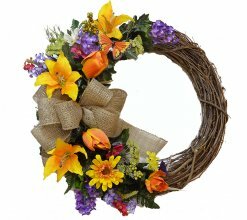 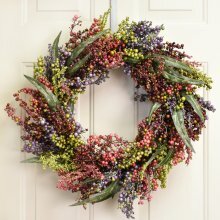 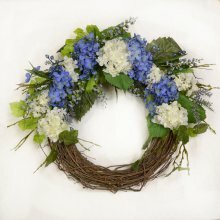 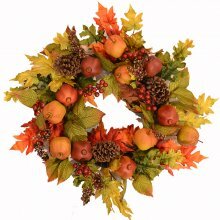 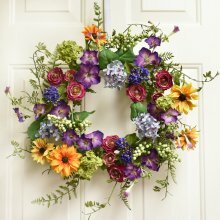 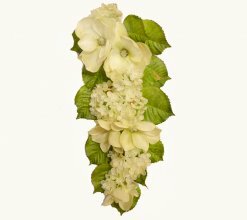 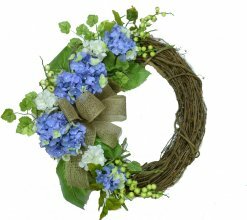 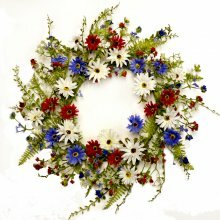 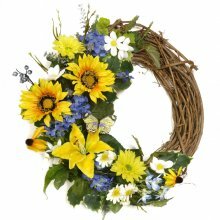 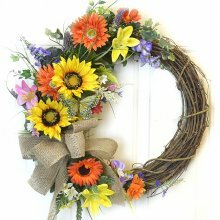 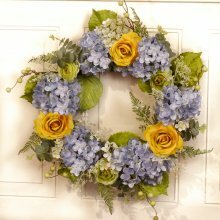 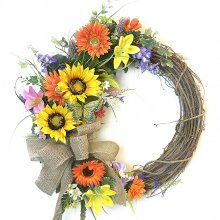 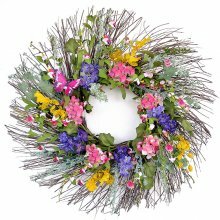 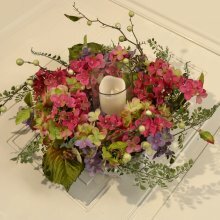 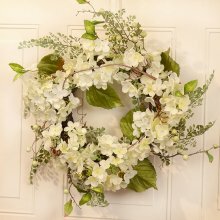 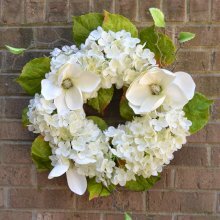 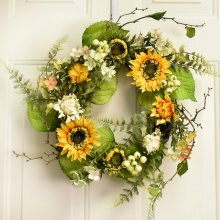 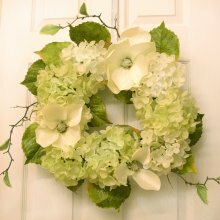 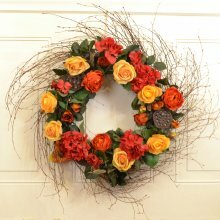 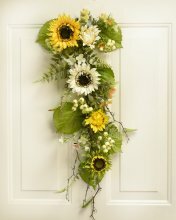 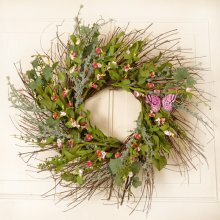 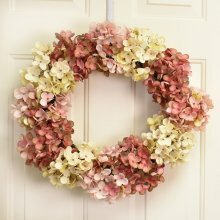 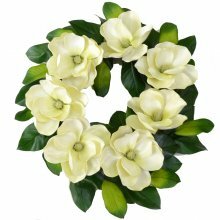 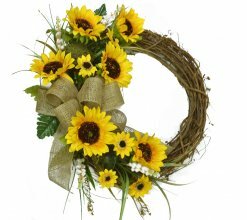 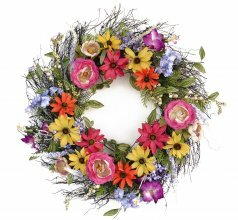 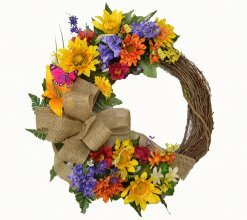 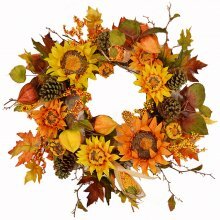 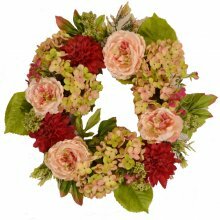 Wildflower wreaths, dogwood, geranium, sunflower and hydrangea wreaths in various styles and colors are among our new additions. 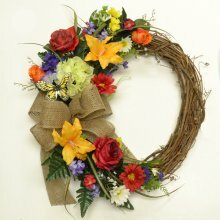 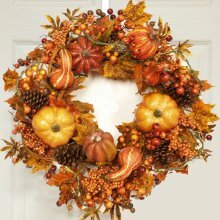 Custom wreaths are no problem if you do not see what you are searching.